Milo was a 1743 tons and 155hp steamship that was produced by W.Gray & Co. Of Limerick in 1892. She was recorded in the name of Leask, Clark & Co. of West Hartpool in the Hartpool. Her sizes were 261 feet * 36,6 feet * 18,1 feet. 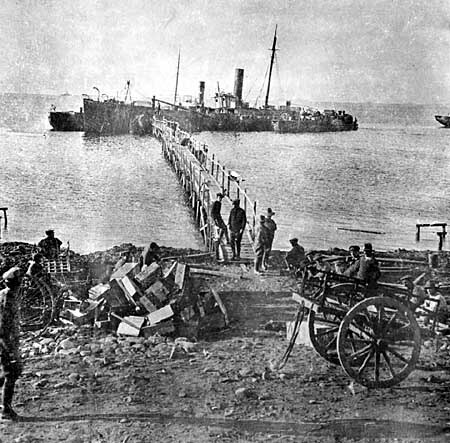 She was sunked in order to become a jetty to protect the harbour and the ships from the bad weather while the landing to the Anzak cove continues in October 1915 in World War I. In 1919 the harbour had been disappeared but Milo was still intact. Her leftovers are still around the place North Beach. You can free dive around here. Thanks to Hasan Tan, here is the coordinates N40° 14' 30.2" E26° 16' 42.9". 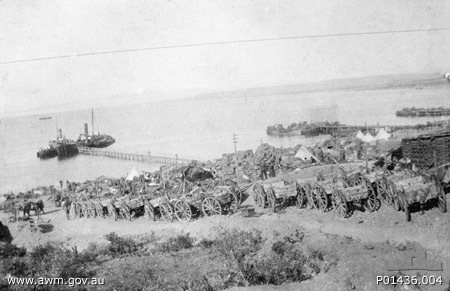 Milo and The temporary harbour built by Australian Engineers just before the Anzac Troops have been evacuated.